The venues are privately booked providing you with comfort. 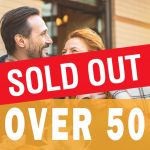 Be prepared for a fun night of mingling and laughing with single people your own age with Mature Speed Dating events in Sydney, Melbourne, Adelaide, Canberra, Newcastle, Hobart and Brisbane, Sunshine Coast & Gold Coast. 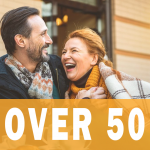 Our Mature Dating events are created to help you stretch your social muscles and meet some fresh new people. Our hosts break the ice and remove the awkwardness to get you relaxed. Most guests attend solo so don’t be shy to come on your own. Our events are famous for quality over quantity. We screen our guests and keep the numbers strict so you don’t get over whelmed with date-fatigue. All you need to do is be yourself, have fun and tick your date card when you meet that someone(s) you fancy. Upon seeing your event sold out, CONTACT US to join the mailing list. People can cancel and their spots become open. If you want to get first preference, REGISTER your details and we will send you personal invites to our Mature Singles and Dating events.